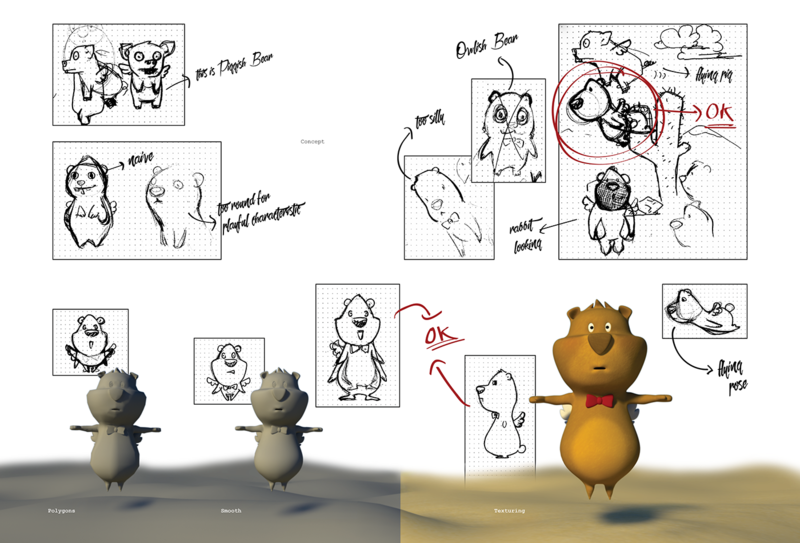 Chrome Bear Project is only one the two projects in our 4th sememester at FPT Arena Multimedia. 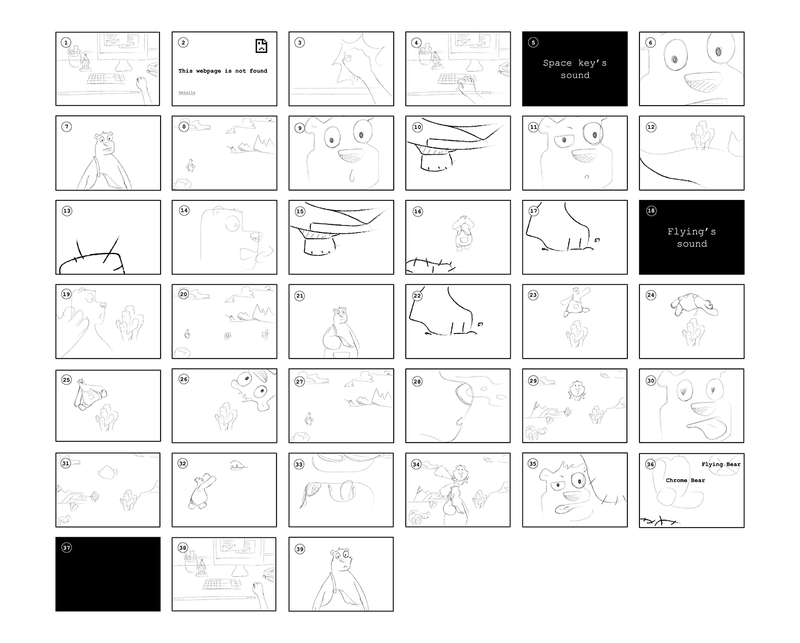 The task was to make a short cartoon video (about one and a half minute) in 3D (including writing script, concept, modeling, texturing, rigging, lighting and camera, animation, post production and finally is the cartoon video). And we have decided to make it in an entertaining way. 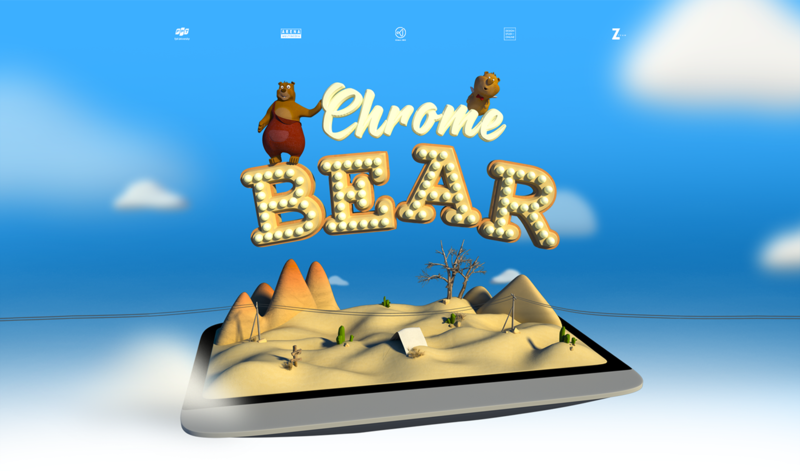 The main character is a bear in a computer game which only appears when the Internet connection is lost, inspired from Chrome web browser. Throughout the film is one game set of a player. Sincerely thanks to Mr. Alex Cao for helping us in this project! 1. Writing script: 3 days. 2. Researching, designing concept: 14 days. 6. Blend Shape: 5 days. 8. Lighting, camera: 3 days. 10. Post production: 10 days. Hoaxes are on the screen, the mouse is wandering around. The player clicks on a hoax, rolls down. Then he clicks to a new link. A new window is opened. “Unable to connect to the Internet” The Chrome Bear appears. Silent. The player gets angry, he fists his fingers, smashes the keyboard. The keyboard blows up then falls back exactly to its place. Sound of yawn. “Unable to connect to the Internet” still appears on the screen. “Space key’s sound”. Chrome Bear glares around, at the left, at the right. Blue sky, white clouds, brilliant sunlight, desert and mountains behind. He looks up at the black nonsense line in the right corner “HI 00000 00000”. “Space key’s sound”. Chrome Bear glares again, with silly face, he still can’t figure out what is going on then his foot start to run. He looks ahead and there’s a row of 3 cactus trees. Their pointed thorns point at Chrome Bear. Chrome Bear starts to freak out, he gapes at his foot at the thorns. He runs unstoppably. The thorns burst out of the trunk. Chrome Bear gets panic, he blindfolds his eyes. “Space key’s sound”. Chrome Bear stamps his foot. “Flying’s sound”, he slipped his steps. Arms and eyes are wide opened, he looks back at the casctus tree behind, then turns his head to the short cactus. He smiles naively and runs toward that short cactus. “Space key’s sound”. Chrome Bear deliberately jumps over the first cactus (HI 0000000039). “Space key’s sound”. He raises his arms and jumps over continuously 2 cactus (HI 0000000139). “Space key’s sound”. He continues to jump over 4 cactus tress in the ballet pose (HI 0000000239). Chrome Bear dispiritedly wanders around. Suddenly he notices a smell from somewhere. Another bear is coming towards him. Chrome Bear opens his mouth wide, his eyes literally turn to hearts. What’s in Chrome’s eyes is the image of a grilled chicken. Runs as fast as he can, Chrome Bear can see that the grilled chicken right in front of him. However, his neck isn’t long enough to catch the chicken thigh. Suddenly a Flying bear appears and a cactus tree bumps against Chrome’s head. Being bumped directly against the cactus, Chrome Bear surprisedly found out that a Flying bear is laughing at him. At the moment, Chorme realizes that there isn’t any chicken thigh, it is just a little flying bear – an obstacle to be cleared. The player yawns drowsily. Continues to play. “Space key’s sound”. Chrome Bear appears again with a bruise face and swelling lips. 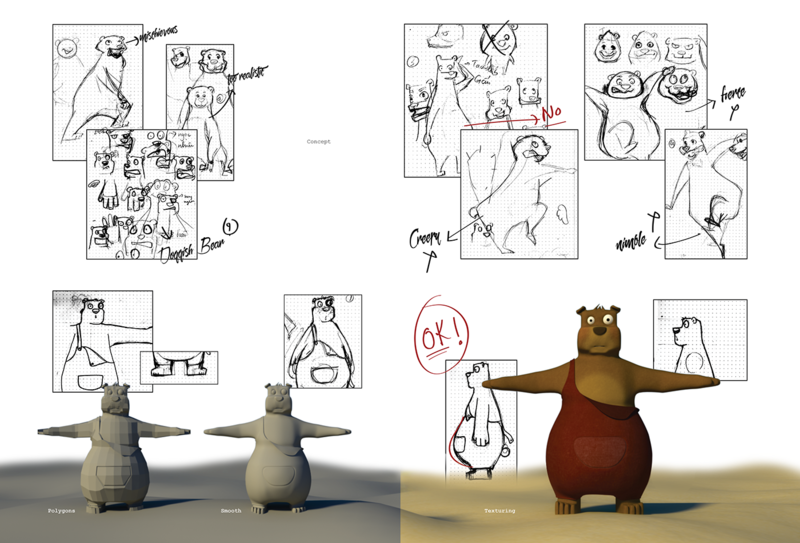 Main character, he has heavy body, silly and dumpy looking. In the movie, Chrome Bear doesn’t know that he is the main character of a computer game – which only appeared when the Chrome Browser can’t be connected to the Internet. He is a tiny bear who has 2 wings. He can fly. He has very lovely appearance. Actually, he is an obstacle that Chrome Bear has to clear. Flying Bear’s trait are playful and nimble. tags: Design Studi- Online, Design Studio Online, DS-O, DSO, dsovn, design studio, studio online, design, studio, dịch vụ thiết kế đồ họa chuyên nghiệp, dịch vụ graphic design, dịch vụ design, dịch vụ tư vấn định hướng hình ảnh chuyên nghiệp, dịch vụ digital imaging, dịch vụ retouching, dịch vụ chỉnh sửa hình ảnh, dịch vụ thiết kế photo manipulation, dịch vụ thiết kế photo manip, dịch vụ illustration, dịch vụ vẽ minh hoạ, dịch vụ thiết kế poster.